When it comes to analyzing the art of Brazilian jiu-jitsu it all comes down to expansion. Without it there would never be growth in making the sport better. Fortunately for us there is a massive wave of talented grappling practitioners brining their own flavor to the melting pot which not only helps with the evolution of jiu-jitsu but also instills a positive influence in other grappling hopeful’s progression. Entering into the mind of Rodrigo Pagani one will embark on an exploration filled with a vast wealth of knowledge from one of the best around. As a part of the first league of Ribeiro black belts, Pagani’s victories at high prestigious tournaments like Worlds and Brazilian nationals is a testament to his talent and devotion to his craft which explains his progressive rise from his humble days as a white belt to the elite black belt level. Hailing from Niteroi, Rio de Janeiro, Brazil Pagani began his journey at the age of 16 in 1992. Originally geared towards fitness and the self-defense aspects his participation introduced him to a new sector of education of this mythical art form. Competing under the Gracie Humita banner Pagani’s confidence began to skyrocket in his mission of becoming one of the best martial artists around. I first started in jiu-jitsu back in September of 1992, when I was 16 years old and I’ve never stopped training. I was very skinny by that time so I thought it would be a nice way to exercise my body and learn some self-defense to become a little more confident. Always staying hungry his dedication and passion is unparalleled. In an effort to further his progression Rodrigo would soon leave his home country which travels would take him to the United States to train with the Legendary Rickson Gracie where he would get first hand tutelage of the true essence of BJJ. In 1995 I’ve decided to go leave in America and train under Rickson, who was an legend for me and I’ve spend 1 years training in Los Angeles at Rickson’s Academy that was when he gave me my purple belt in 1996. Upon returning home to Brazil with newly acquired purple belt from Master Rickson, Pagani now found himself training full time under long time training partner Saulo Ribieiro. During this tenure his skills and pure determination guided him through many tough hurdles which allowed him to achieve great feats as a grappling fighter en-route to obtaining his black belt in 2002. Artistic and downright cleaver every jiu-jitsu black belt has to have some type of distinct features that separate them from the pack. In the case of Rodrigo Pagani his various techniques he has developed over the years has placed him in a class by himself. Although not well known or used on the competition circuit today The Curu-Curu is one of Rodrigo’s trademark guard tactics which has allowed him to sweep through the opposition on to winning many championships during his run as a black belt. In addition to this innovative guard the Ribeiro black belt also has a deadly submission technique that gives true meaning to the phrase “Lights Out”. A modified variation of the loop choke the Magrti Choke is one of Pagani signature finishing techniques he has been developing since 1993. “The Magrti Choke I’ve been using since 1993 from, and using this effective choke against my partners of training and also my opponents. It became my lethal weapon by the time, and my nickname was Magreti (skinny) by this time and my friends start to call this choke with my nick name. 27 people passed out choked by Magreti, because it is a very strong and quick choke”. With all of this skill stored in his arsenal it would only seem fitting that this seasoned veteran shares his knowledge with others. Switching positions from apprentice to the teacher his role as the head leader of the Ribeiro Jiu-Jitsu Association in Niterói Pagani has built an elite army of prized combatants which have made quiet an impact on the competition scene in Brazil and the United States thus showcasing Pagani’s abilities as a great mentor to his pupils. Far from complete Rodrigo Pagani’s has many more aspirations he hopes to obtain during this endless quest. 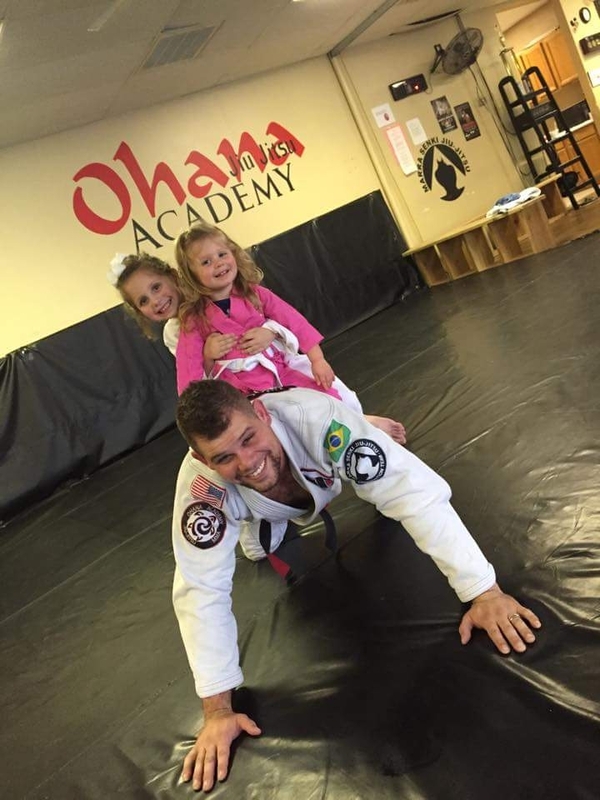 While continuing to spread his style of jiu-jitsu worldwide he also is committed to extending his academy facility which welcome all practitioners from all over the world learn the beautiful art of Brazilian jiu-jitsu.